That’s it. Everyone else can go home now. 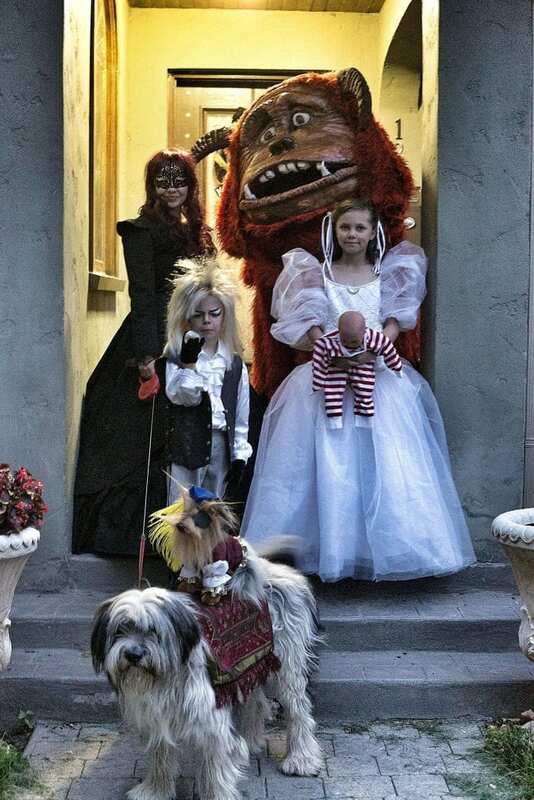 This family’s incredible, handmade “Labyrinth” costumes just instantly rendered every other costume tragically subpar. I mean, look at the tiny Goblin King! And that amazingly detailed Ludo mask! And DIDYMUS RIDING THE DOG. It’s all too perfect for words. Bravo, “Labyrinth” family, bravo.